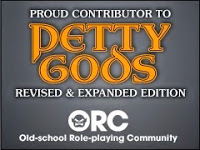 Today's Free GM Resource is a bit of a twofer, depending on your point of view. First up is the popular, free, 3D rendering program. Yes, there is a paid Pro version, but the basic version is still free for non-commercial use. 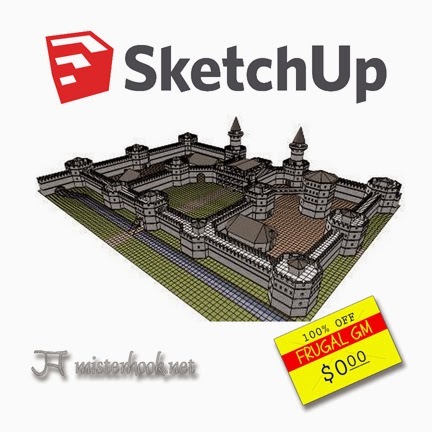 You can get SketchUp for downloading here. 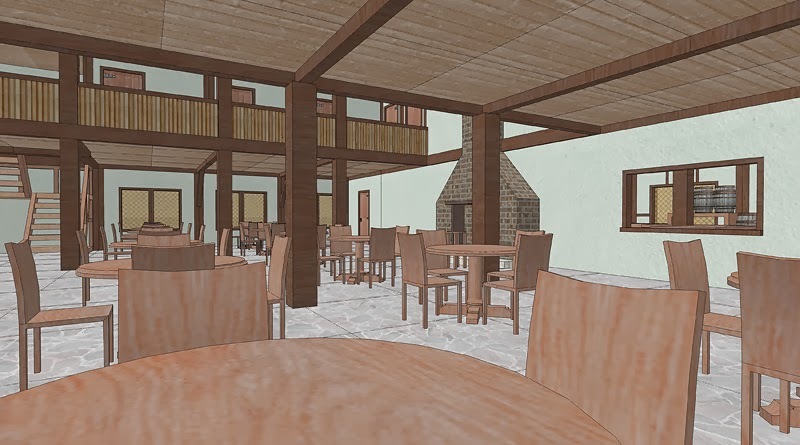 For a few folks, SketchUp might be the ultimate in mapping. Even I have to admit that being able to render a map in 3D is wicked cool. I've seen some game products done in SketchUp in a style that makes it look like it was drafted by hand and given an artist's once-over. Me....I'm a bit too lazy to play with SketchUp, at least for now. I have enough problems mapping in 2D, much less in 3D. Given my predilection for using the computer to stitch together assorted map parts you'd think this would be the perfect thing for me. Seriously, don't you want to start off your adventure in a place like this? Since it is 3D you can move about the space virtually and change things however you want. Too many tables? Easily fixed. Needs a larger fireplace....done. Even if you don't want to make your own models, I think you'll get a ton of mileage out of SketchUp and Mr. Hook's GENERICA Project files.